The Safe Quality Food Institute (SQFI) operates under the motto of “One World. One Standard.” Its Safe Quality Food (SQF) Certification is the only one of its kind recognized by the Global Food Safety Initiative (GFSI) and is the only such program with a food-quality component added to its food-safety platform. SQFI’s goal is to utilize science-based, proven principles in order to consistently apply standards of food safety and quality on a global level. SQF certification, recognized by all facets of the food-processing industry, is a measurement by which producers, suppliers, retailers, and consumers can be assured of safe, quality food products. 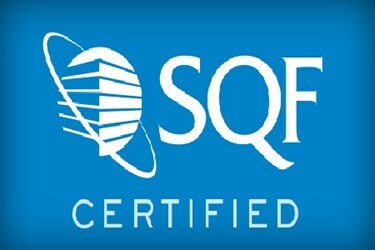 SQF Certification virtually guarantees a higher degree of trust and acceptance in the global marketplace. The SQF 1000 Code is a Hazard Analysis and Critical Control Points (HACCP)-based code for primary producers. These would be the farmers — such as grain or produce growers that supply raw product for food manufacturer’s and producers. The SQF 2000 Code applies to manufacturers, retailers, distributing agents, and exporters. The 7th Edition of the SQF Code, published in July 2014, replaces both the 2010 SQF 1000 Code Edition 5, and the 2008 SQF 2000 Code Edition 6. The newest edition incorporates three levels of certification. Facilities can choose the level of SQF Certification to be audited against, though obtaining the highest level of certification will normally equate to the amount of benefit realized. Level 1 SQF (Safe Quality Food) Certification is the “introduction” level to food safety. Also called “Food Safety Fundamentals,” it is designed for producers of what are considered low-risk food products. Level 1 certification requires the producer to be cognizant of and to implement fundamental food-safety controls. Level 1 is also the first step toward SQF Certification for new or developing businesses. It covers Good Agricultural Practices (GAPs), Good Manufacturing Practices (GMPs), and Good Distribution Practices (GDPs). Level 2 SQF Certification is also known as the “Certified HACCP-Based Food Safety Plan.” It incorporates all of the Level 1 requirements and adds Hazard Analysis and Critical Control Points (HACCP) risk assessment and implementation. Level 2 is considered a food-safety plan. Level 3 SQF Certification is a “Comprehensive Food Safety and Quality Management System.” This level of certification includes all of the elements from Level 1 and Level 2, taking the process one step further, ensuring that action has been taken to correct or prevent poor quality or contamination through the HACCP process. Level 3 raises the bar by focusing on food quality, as well as safety. Those wishing to achieve SQF certification must register first with the SQFI. You will register on the SQF assessment database and must maintain annual membership in order to retain certification. The registration and renewal fees are based upon the gross annual sales revenue of the facility and can be found here (scroll to the bottom for the fee chart). The costs are ridiculously affordable; it’s up to you to decide if the benefits are worth the nominal annual fee.